Kazan State University (one of the oldest universities in Russia) was founded November 5 1804 by Russia Emperor Alexander the First. Kazan State University is situated in the central part of Kazan city. Among the student of Kazan State University were famous Russian scientists and politicians: Aksakov T.S., Balakirev M.A., Tolstoy L.N., Lenin V.I. 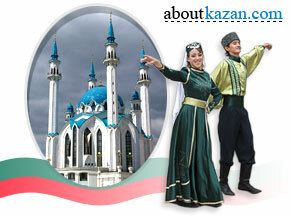 Kazan State University has 15 faculties, Butlerov M.F. chemical institute, oriental studies institute, languages institute. About 15000 students and 615 post-graduate students are studying in Kazan State University now. 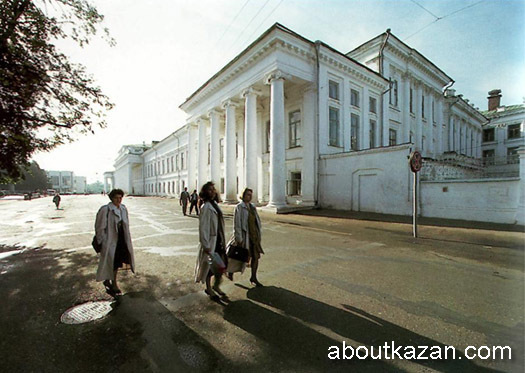 1137 lecturers are working in Kazan State University (208 professors). Kazan State University is a modern university. The main principle of Kazan State University - the synthesis of science and education. There are 27 laboratories, botanical garden, 2 observatories, IT center, publishing house in Kazan State University. Kazan State University cooperates with about 40 foreign universities and participates in the following international programs: IREX, Fulbright, USIA, DAAD, TEMPUS, INCO-Copernicus. Kazan State University main building address: Kazan Russia Kremlin Str. 18.